I’m returning to perform at the Santa Barbara Fiddlers’ Festival in September! Check out this great lineup and look at the full schedule at their website. 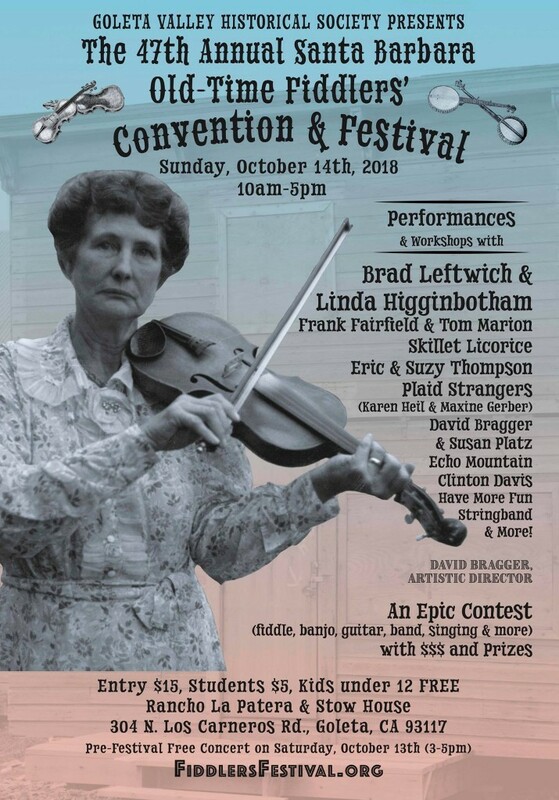 The festival begins on Sunday October 14th, but I’ll be performing the day before at their kick-off concert.